A service for describing functioning relating to both learning and school attendance. Valteri is a national Centre for Learning and Consulting operating under the Finnish National Agency for Education, and it supports the implementation of the neighbourhood school principle by offering a comprehensive range of services for the needs of general, intensified, and special support. The Valteri Centre for Learning and Consulting offers support for learning and school attendance to pupils, their families and staff working closely with them. 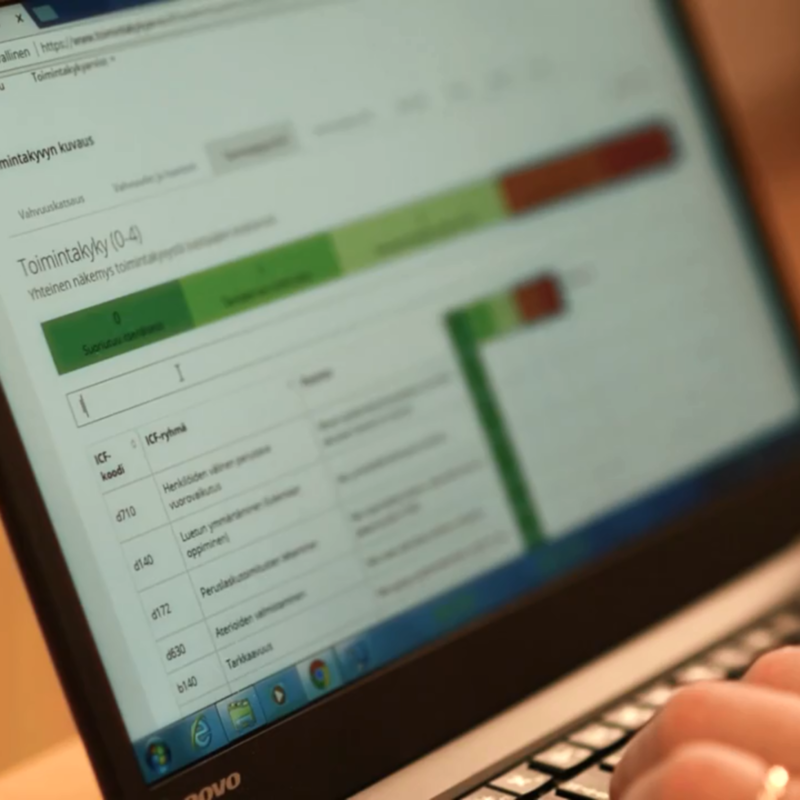 Toimintakykyarvio.fi is a service for describing functioning developed at Valteri Centre for Learning and Consulting. A description of functioning is used to identify a joint insight into the pupil’s functioning from the perspective of the pupil, the guardian and professionals working with the pupil in daily life. A description of the pupil’s functioning compiled from various perspectives helps pupils to identify their own strengths and need for support. Describing functioning together encourages discussion between the pupil, the guardians and the school. The idea of the service is simple. The pupil, guardians and professionals each assess the pupil’s functioning with a web-based assessment tool on the basis of the prevailing situation. The service combines the participants’ answers into different views about the strengths and challenges of the pupil’s functioning. The functioning assessment describes, among other things, functioning in relation to learning, school attendance, interaction and well-being. In addition, it is possible to choose supplementary parts to further extend the description of functioning. Information provided by the functioning assessment can be used when organising learning and related support, in guidance counselling and during the formulation of pedagogical documents. When information regarding functioning has been compiled, it is easier to set goals and plan the learning path. The functioning assessment is suitable for any pupil in preschool and primary school. The service is also available in Swedish and English.